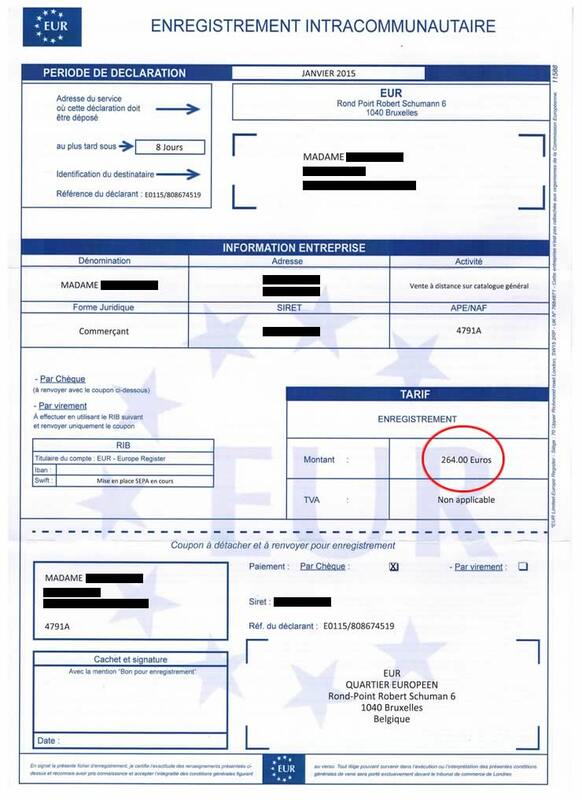 Here's yet another scam aimed at businesses in France. This one is trying to extort money by making it look like it's compulsory to subscribe to a European directory before getting a TVA number. So please be on the look out for a bogus form coming through the post that looks like the one below, titled Registre TVA Intracommunautaire. You're welcome to contact me if you're not sure if you've revievd a scam.